The 1929 inn is said to be haunted by at least three ghosts. The most well known is a Lady in White who haunts Room 208. Her identity is unknown, a portrait of her hangs in the room. Also residing here is the ghost of a slave named Reuben, rumored to have been hanged in the area that is now the dining room. His apparition has been seen sitting at a dining room table. And a third ghost here is a little girl who has been seen in Room 202 and has been heard crying and laughing in Rooms 206 and 208. 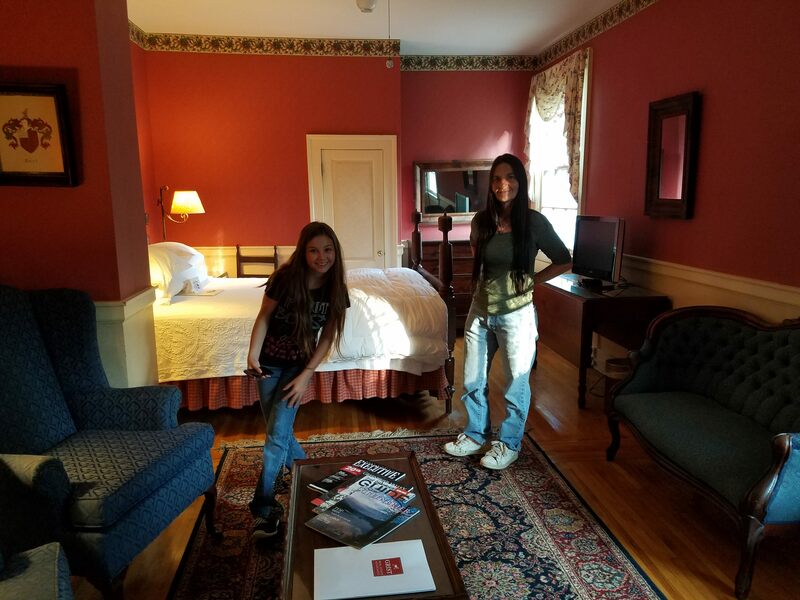 We visited the inn a few days ago, specifically rooms 216 and 219 and captured this photo that shows a strange white fog hanging in front of the lamp. We didn’t spend the night, just took a little tour around the hotel and grounds. It’s a cool old hotel filled with antiques and character … and possibly ghosts.